Millennials might have a much better grasp of financial matters than their critics suggest, according to findings in TD Bank's first Consumer Spending Index survey. Members of this generation -- born between the early 1980s and early 2000s and now roughly between the ages of 12 and 34 -- have been chided for being too sheltered as children and for having grown up believing they are "special." They've also been accused of being irresponsible with their money. In many ways, however, millennials are more financially responsible than the Generation Xers and baby boomers who came before them. TD Bank surveyed 1,502 consumers age 18 to 70 with a household income of at least $50,000 and found that millennials spend less than the average American consumer. The survey findings revealed that millennials use debit, cash and checks more often than they use credit cards. 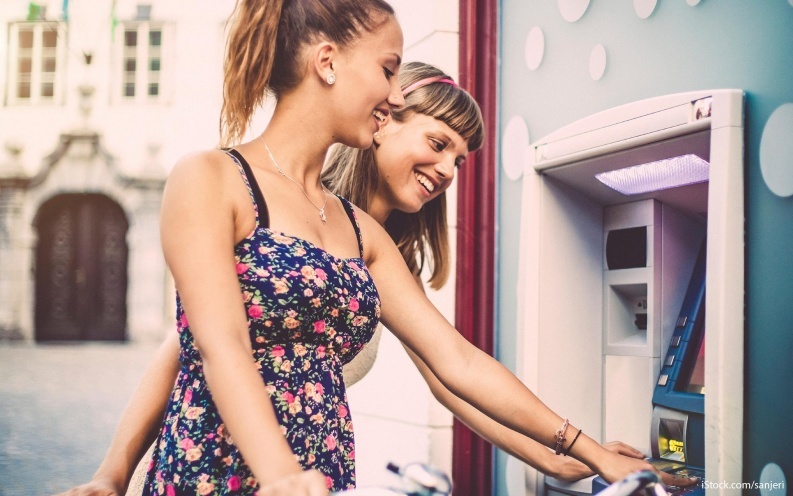 Here are 17 reasons why millennials are better with their money than other generations -- and what they can teach you about how to better manage your money. Millennials spend an average of more than $26,000 a year, which is 27 percent less than members of Gen X and 23 percent less than baby boomers, according to TD Bank's Consumer Spending Index survey. "It's very likely out of necessity that millennials have a strict hold on their finances," Pukas said. She added that many graduated from college with substantial student loan debt and are now working in low-paying jobs, if they can find gainful employment at all. "A lack of capital has forced this group into a more frugal lifestyle compared to other generations," she said. Millennials enjoy dining out, but they keep costs in mind. According to TD Bank, millennials dined out 13 times per month, which is more than members of Gen X (who dined out eight times) and baby boomers (five times). However, millennials spent an average of $103 monthly on dining, whereas Gen Xers spent $123 and baby boomers dished out $139. Surveys have shown millennials look closely at a prospective employer's retirement benefits before deciding whether or not to accept a job offer. "Millennials understand the importance of retirement planning and getting an early start on building retirement security," said Robert R. Johnson, president and CEO of The American College of Financial Services. Millennials are keenly aware of the need to save and invest for retirement. Just over half of millennial workers believe they will get no benefits from Social Security, according to a 2014 survey by the Pew Research Center. By relying less on government entitlements, millennials could be better prepared for retirement, regardless of the amount of Social Security they receive. Compared to other generations, millennials tend to use cash, debit cards and checks more often. Those three tools account for $5,200 of their spending, compared to $2,400 for the average American, according to the TD Bank Consumer Spending Index survey. Moreover, millennials charge 22 percent less to their credit cards than the average consumer. Many millennials came of age during the Great Recession, so they are wary of trusting traditional financial institutions, including financial advisors. Instead, they go to free sources of financial information or use inexpensive financial services such as podcasts, blogs, and personal finance websites, according to the Wall Street Journal. Millennials also tend to access a variety of information as opposed to relying on only one financial advisor for answers. The Pew Research Center reported that millennials are the first generation of the modern era to have more student loan debt, higher levels of poverty and unemployment, and lower levels of wealth and personal income than the two preceding generations had at the same age. And yet, 80 percent of millennials say they have enough money to lead the lives they desire right now. These findings suggest that millennials might be defining fulfillment and success differently than their predecessors. Millennials understand the value of investing in index funds and are fans of investors such as Warren Buffett, John Bogle and Burton Malkiel who preach a simple concept that allows a young saver to set it and forget it, said Ryan Brown, partner at CR Myers & Associates in Southfield, Mich.
"Millennials have done their homework and understand the reality that the stock market is impossible to master," Brown said. Perhaps more than any other demographic, millennials have a unique knack for doing their own due diligence to learn about financial products, Brown said. "They check out everything before buying and are especially cost conscious, even to the extent of calculating the amount of fees to the penny," he said. In contrast, some members of older generations do not even know what they are paying in fees. Millennials are the most educated generation in American history, with 47 percent of those ages 25 to 34 holding a postsecondary degree, according to the White House report "15 Economic Facts About Millennials." Because education has become increasingly expensive in recent decades, many millennials have taken on significant amounts of student loan debt. But their investment in their education can pay off -- education levels have more of an effect on long-term earnings than any other demographic factor, according to a U.S. Census Bureau report. "With their higher-education degrees, millennials are able to get better-paying jobs and feel confident they will have sustained success at every step along the way into the future," said Josh Alpert, a financial advisor at Motor City Retirement Advising in Royal Oak, Mich.
Millennials were the first generation to have access to computers in elementary school, and technology has shaped the generation. Millennials use technology to their financial advantage by accessing financial information online and using apps for budgeting and tracking investments. As technology continues to evolve, this generation will have no trouble keeping up. Millennials are more concerned about corporate social responsibility than any previous generation. They are more likely to buy a product that aligns with their social and environmental concerns. In fact, 91 percent of millennials are willing to switch to brands associated with a cause, according to a study by Cone Communications, a public relations and marketing agency. That means they are more likely to choose socially responsible investment products, which are booming in popularity among millennials. Entering the job market during the Great Recession was difficult for millennials. Some found no work opportunities, while others had to accept jobs at below-market salaries. Younger millennials saw their parents struggle through the economic downturn and learned valuable lessons in the process, Pukas said. "Because of that, this consumer segment has focused on being responsible with money," she said, adding that millennials place more value on experiences -- such as dining out, travel and entertainment -- than on material goods. Some research has shown that millennials tend to purchase their first mutual funds at a younger age than did their baby boomer and Gen X predecessors. Millennials who invest at a younger age will likely be better financially prepared for retirement. Millennials get married later in life than any previous generation. In 1960, 77 percent of people ages 20 to 34 were married, according to the White House report on millennials. By 2013, that percentage had dropped to 30 percent. Many millennials delay marriage because they are concerned about their financial situation and what that will mean when starting a life with a partner. They want to get their finances in order or advance their careers before settling down. Contrary to stereotypes, millennials stay with their employers longer than Gen X workers did at the same age, according to the White House's "15 Economic Facts About Millennials" report. Staying with one company for a longer period of time can lead to opportunities for promotion -- and, hopefully, more vacation days. That choice enables millennials to increase their earnings, take advantage of employer-provided retirement plans and gain those life experiences they value so highly by traveling more. Millennials' affinity for technology has led them to expect everything to be instantaneous, including managing their finances. Millennials want a functioning mobile banking app that allows them to easily check their accounts anytime. This means millennials constantly have their fingers on the pulse of their finances so they can make smart money decisions. This article, 17 Signs Millennials Are Better With Their Money Than You, originally appeared on GOBankingRates.com.